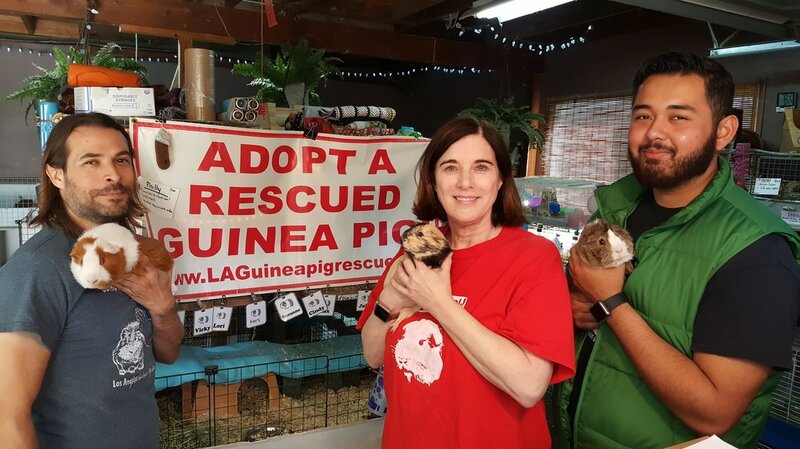 ​As the largest guinea pig welfare organization in the USA, LA Guinea Pig Rescue serves Los Angeles City, County and surrounding cities. Over 800 guinea pigs were rescued and re-homed in 2016 alone. LAGPR offers rescue, sanctuary and adoption services as well as free wellness checks, nail clips, advice and ongoing support to all guinea pigs and their owners. Guinea pigs are rescued from city shelters and private parties. We rely solely on donations and volunteers to keep going. 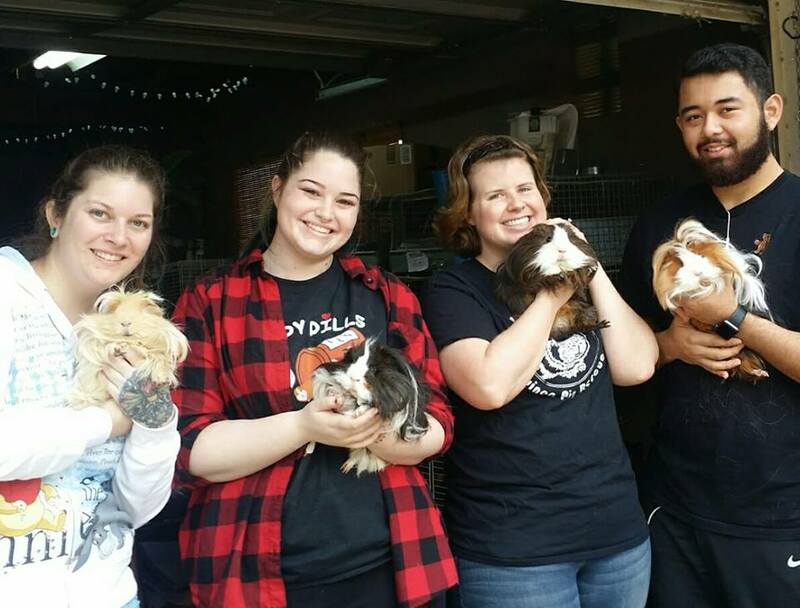 LAGPR also operates a sanctuary for nonsocial and extra-large South American Cuy guinea pigs currently sold in National pet store chains, that are not suited for life as a pet due to their size, strength and fear of humans. Founder Saskia Chiesa started the organization in 1999 shortly after arriving here from her native Holland. ​Every Saturday you will find these three at the rescue, it is likely that one of them will be helping you with a health check or adoption!